Today I have two oldies on sale, but both are new to The Lilypad. 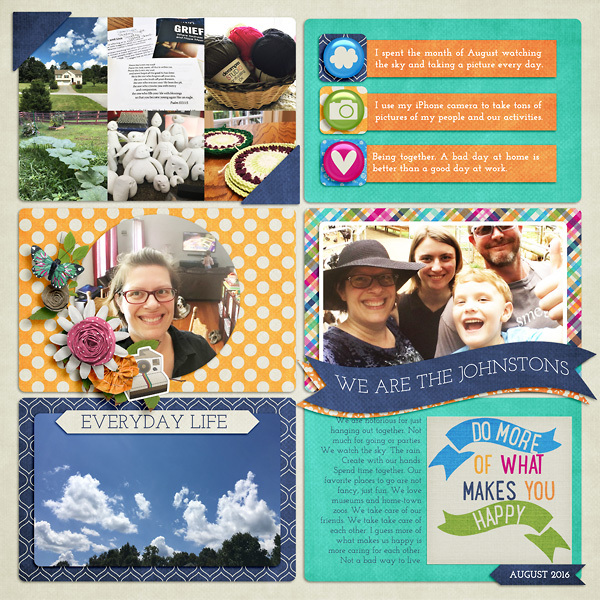 These Tell Me About It Templates both comprise 4 templates (12x12, 8.5x11, 4x6 and 5x7 inch sizes) that have a mix of photos, text blocks, and list journaling. 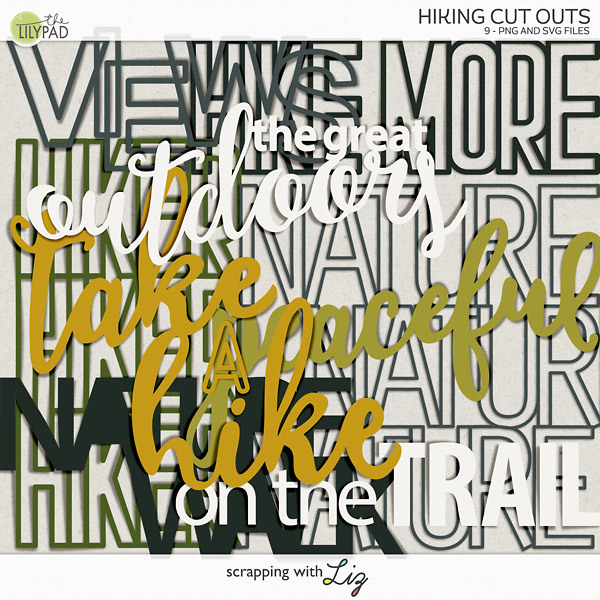 With the mix of formats you can use these sets to scrap traditional layouts, holiday newsletters or cards, or even use them for pocket style scrapping. Enjoy the 50% SOSN discount on these products today only, September 21, 2016. 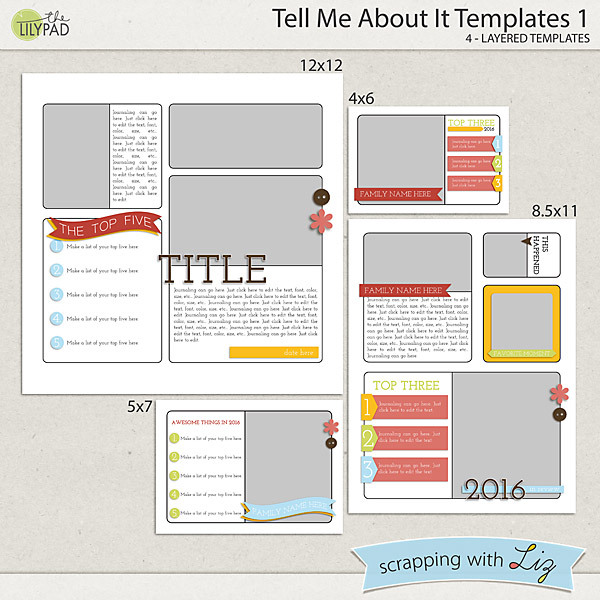 Tell Me About It Templates 1 have a more clean and flat design. 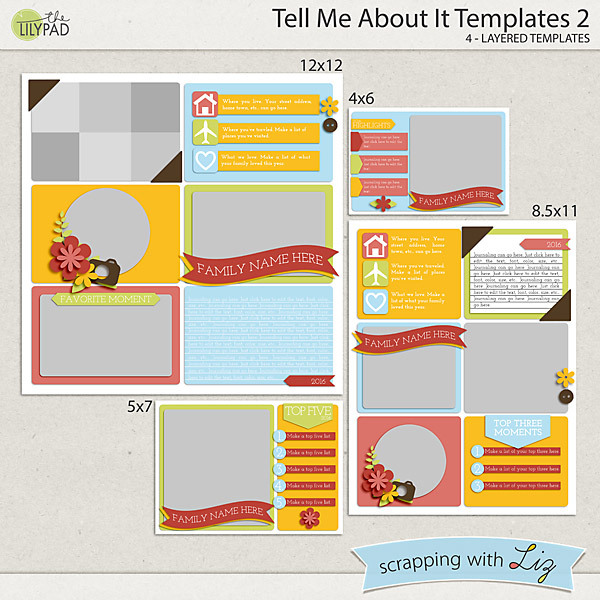 Tell Me About It Templates 2 have a more layered scrappy look. 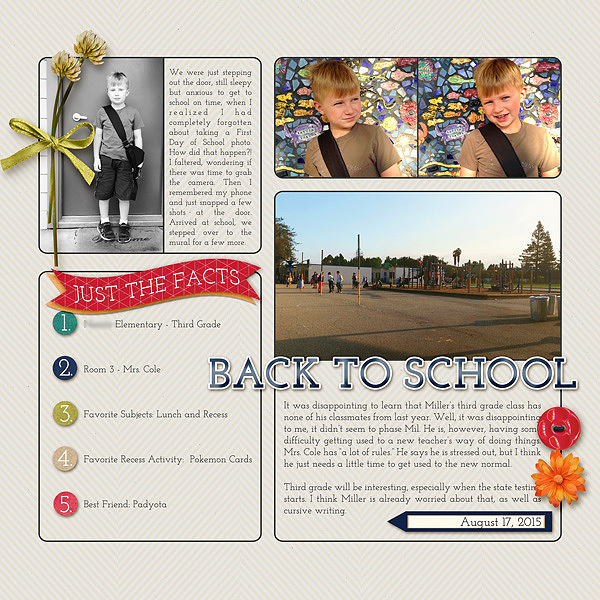 Tiffany scrapped a back to school page with Tell Me About It Templates 1. 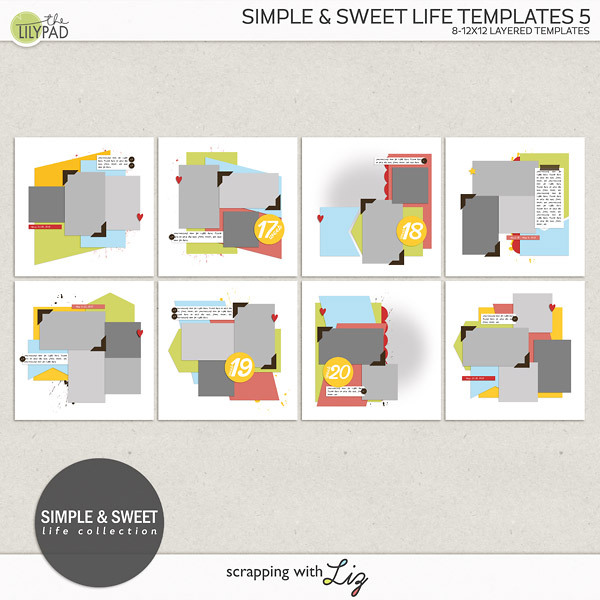 Amanda scrapped an everyday page with Tell Me About It Templates 2.